Business Insider/Mary HanburyClaire’s filed for bankruptcy in March. 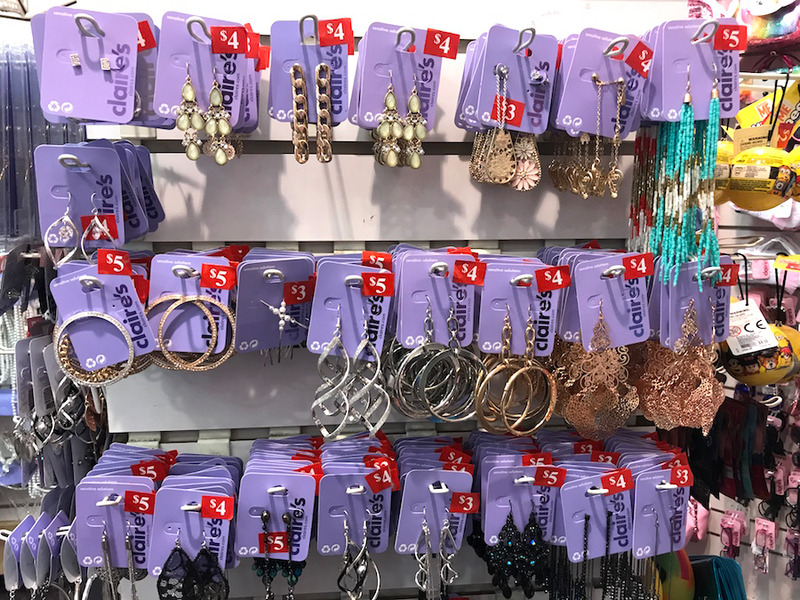 Claire’s filed for Chapter 11 bankruptcy protection in March and announced it would be closing 92 stores across the United States and Puerto Rico. The chain is crippled with $US2 billion of debt and agreed to a restructuring plan to reduce its debt by $US1.9 billion. On Tuesday, The Wall Street Journal reported that its CEO, Ron Marshall, was paid $US2.7 million in the fiscal year 2017. Claire’s, the iconic teen jewellery and accessories retailer known for its ear-piercing services, filed for Chapter 11 bankruptcy protection in March. It announced it would be closing 92 stores and laying off workers. However, not all parties have suffered. According to a Securities and Exchange Commission filing, Claire’s CEO Ron Marshall received $US2.7 million in total compensation for the fiscal year 2017, The Wall Street Journal reported. According to the Journal, the median Claire’s employee, who is a part-time store worker, earned $US2,705 in total that year, just over 1,000 times less than Marshall. Claire’s did not immediately respond to Business Insider’s request for comment. The median compensation of CEOs of the top 133 US companies was $US11.7 million in 2017, the Journal reported. Claire’s has been hit hard by declining traffic to malls since most of its 7,500 stores are located in shopping malls. The majority of its store closings will impact mall-based stores. “A Claire’s store is located in approximately 99% of major shopping malls throughout the United States,” Claire’s said in a bankruptcy filing, citing data showing that traffic to malls had declined 8% over the last year. “This decline may be attributable to several factors, including competition from big-box retailers, large tenant closures (leaving malls without an ‘anchor’ tenant to drive foot traffic), and the increased popularity of online shopping,” the company said.